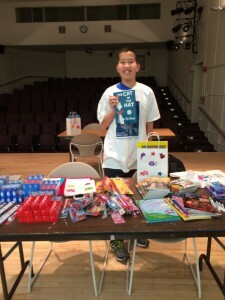 On Saturday, I went to the New Rochelle Public Library to help make “Bedtime Bags” for homeless children in Westchester. 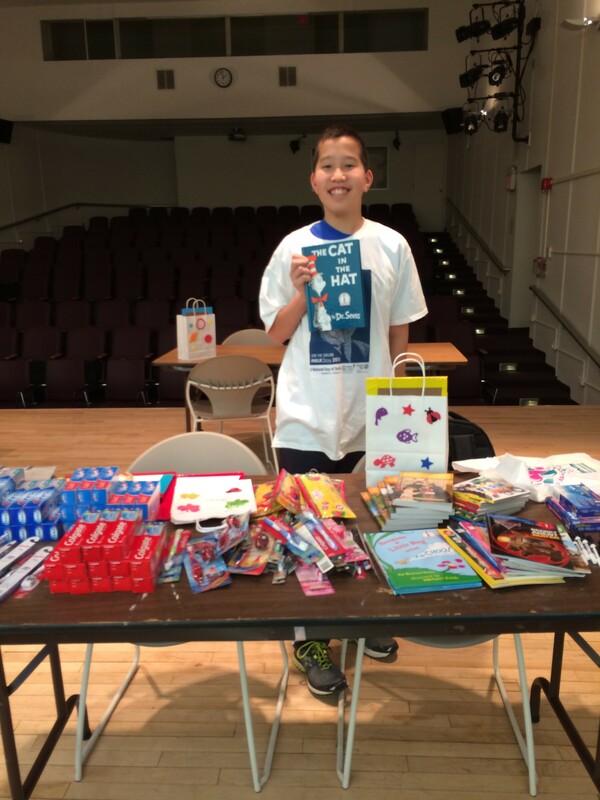 The event was hosted at the Library and was organized by Katie of Volunteer New York! The event was very fun and inspiring. I learned a lot about who can be homeless and that ANYONE can end up homeless. Everyone, no matter if employed or not, can end up homeless. Sometimes people have to sacrifice their home to pay other family necessities (i.e. food, water, clothing and visits to the doctor). I met a homeless person who spoke a little about what it is like to be homeless. She found a way to travel from Yonkers to New Rochelle. I was very moved by the fact that she came to volunteer her time (and what little money she had) to help make the bags. When I got home, I went to my room and thought of how lucky I was to have a nice house and family. I happen to have my own bedroom. If one is homeless, he/she would share their room with their mother, father, and sisters and brothers (kids, you can just imagine having to live with your siblings all the time in the same room). It is important to remember that our Heroic One Percenters many times end up being homeless, too. This reinforces my philosophy that we MUST thank these HEROES and do whatever it takes to help them.